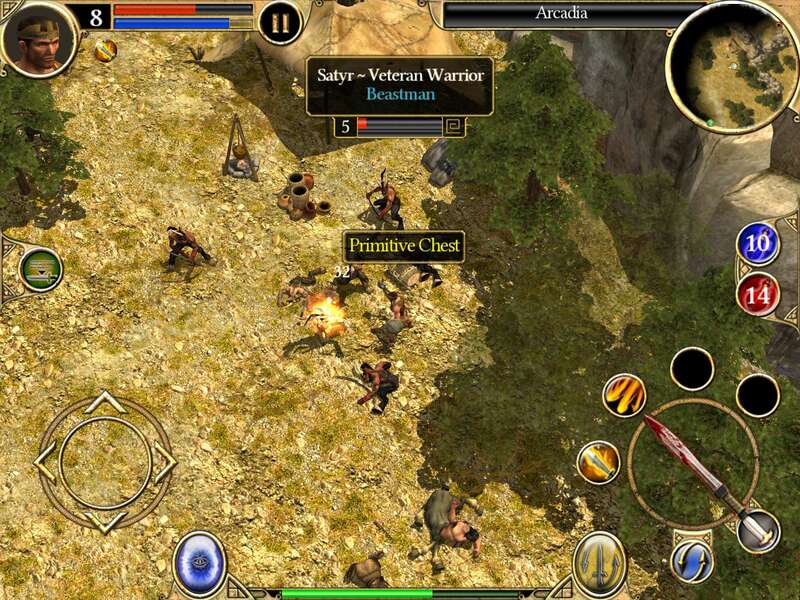 It’s here, at last – Titan Quest for iOS. 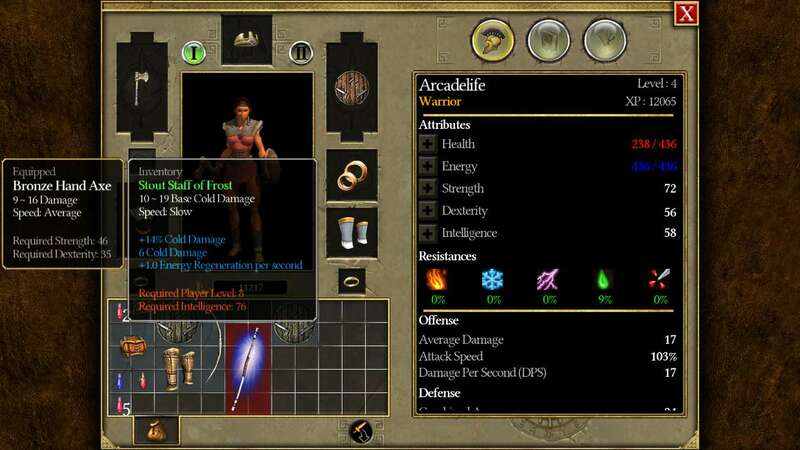 Ten years after it was released on PC, here is one of the many action RPGs that followed in Diablo’s huge, fiery footsteps, but this one managed to convince many players that it was actually a better game. 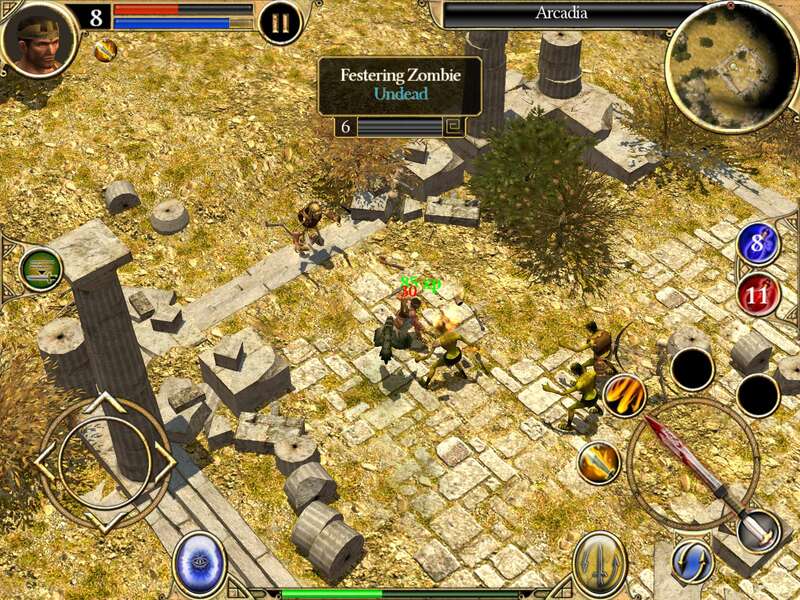 I have been playing it on iPhone 6 and iPad Air, and it has done a fair bit more than just bring back a few fond memories of an old PC game. For the purposes of this review, and keeping it fairly short, I’ve decided not to go into detail about the game content, classes, loot, skill trees, in fact pretty much everything that has been exhaustively covered all over the internet since 2006. I’ll focus on how the game plays on mobile devices (large and small), and what sort of a job DotEmu have done with transferring a fairly complex mouse & keyboard control system to a touch-screen interface. Before you ask, all the images in this review were taken by me on while I was playing Titan Quest on either an iPhone 6 or iPad Air. Click on any of them to view the full size image. First of all, the touch screen interface for the main game is extremely good. It is abundantly clear that a huge amount of thought, consideration, and play-testing has gone into this. Looking at the end result, I would bet that DotEmu tried various types of control interface before arriving at the final version. It is just very, very good. Personally, I would have provided an option to use relative touch on the left side of the screen instead of the d-pad, but that’s just because I always want a relative touch option. Moving your character around is easy, responsive, and never really feels any more awkward than it did with the mouse on PC. If anything, this kind of direct movement control will feel more natural for many players. 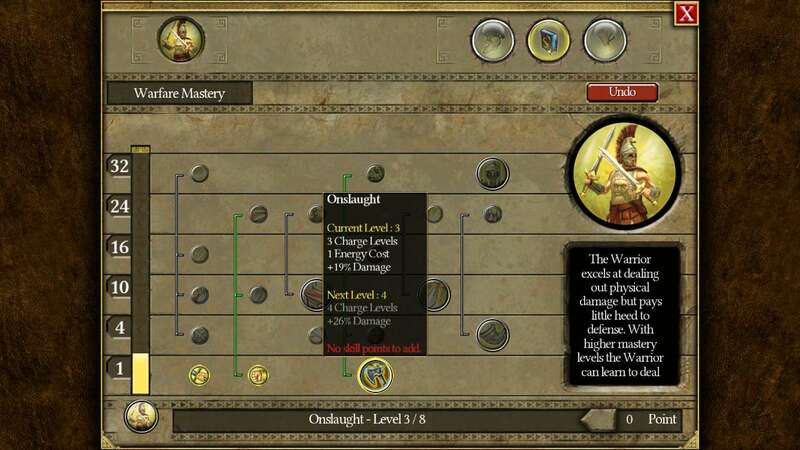 Assigning skills to the hotkey buttons is straightforward and allows you to put skills wherever you want, within the limitations of the button positions. I haven’t had any problem triggering attacks or spells, so I’m completely happy with how they have set this up. There are a few minor issues with the control interface, but nothing anywhere near game-breaking. In NPC conversations, I found I had to move away and click the ‘talk’ icon again in order to get the follow-up part of a conversation or trigger a quest completion after the initial ‘well done’ chat. Once you’re aware of it, it isn’t an issue but it isn’t ideal. In fights where loot is dropping all over the place (which is a lot of the time) I sometimes found that my character was going into ‘collect loot’ mode instead of ‘hit things with a big sword’ mode. Again, once you’re aware of it, you can take steps to avoid it, but it will still occasionally occur and it can be slightly irritating if you don’t realise it’s happening during a tough scrap. Inventory management on the iPad screen is fine. I encountered various issues on the smaller iPhone 6 screen, particularly when trying to select and move single-block items (e.g. rings, amulets, potions and power-up components). Text also appears very small on the iPhone screen, with the game having a rather more fiddly overall feel than on the iPad, where it absolutely shines as a remarkable touch-screen achievement. 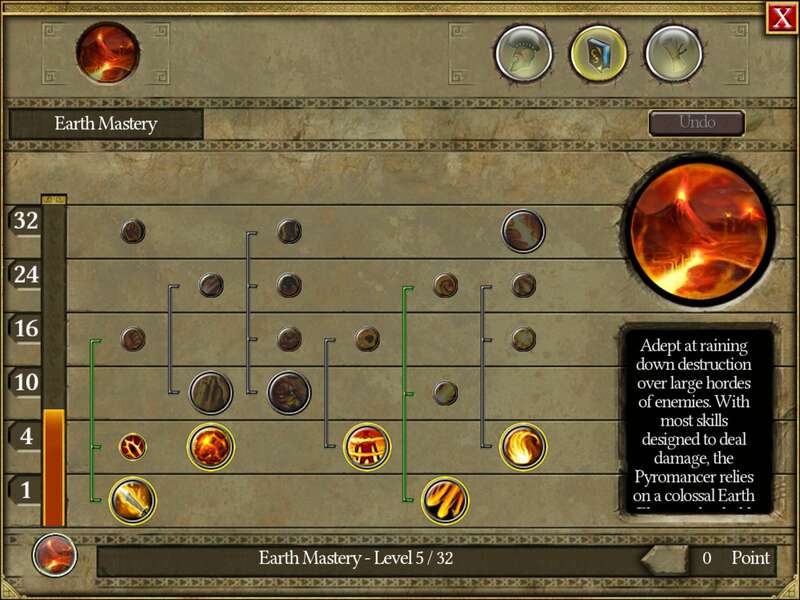 In addition to the wonderful job of creating a clear, attractive, and very responsive new control interface for the game, there is also a clever feature for spell/skill use which replaces the original point-and-key-click with a drag-to-target mechanism. 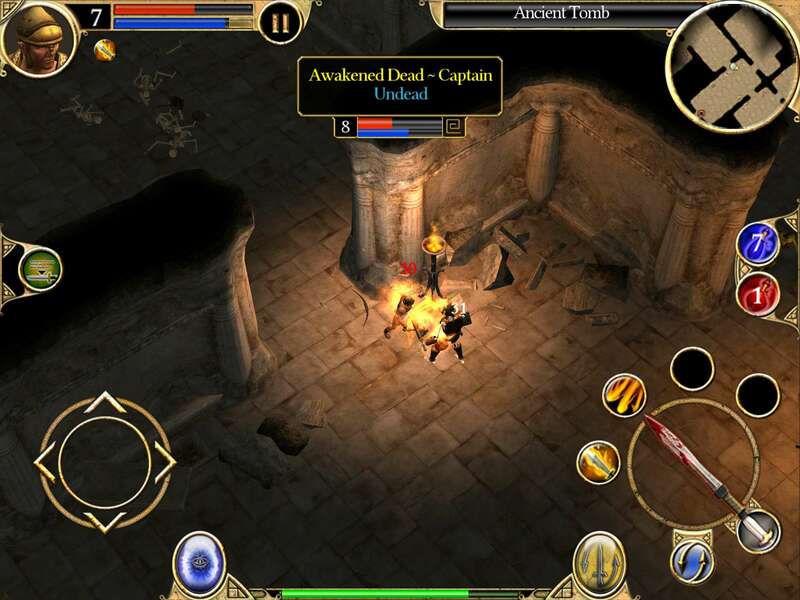 Whenever you tap and hold a spell icon, the action slows down into a kind of bullet-time mode while you drag your fireball spell or whatever to its target. Once you release, the action speeds back up to normal again, with an appropriate sound cue, and the spell hurtles to its destination. Very slick, very useful, and – most of the time – it works absolutely perfectly. 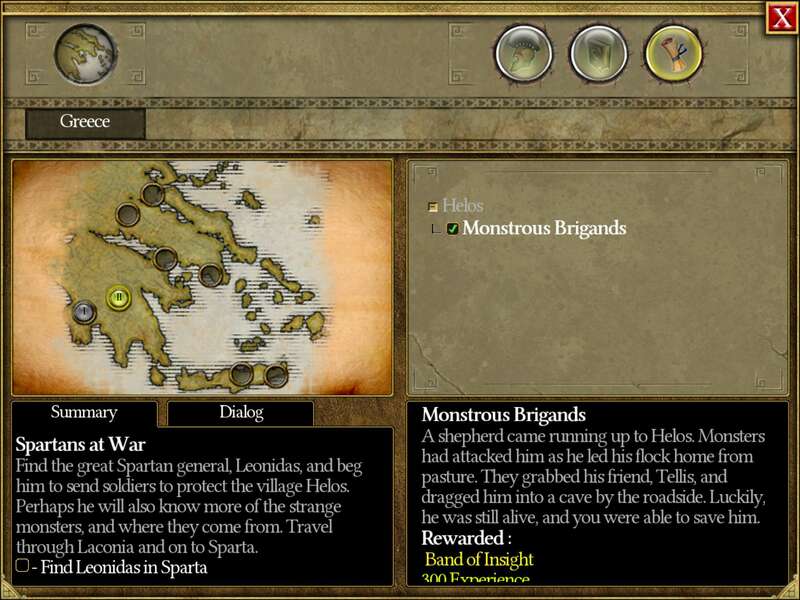 Briefly, for anyone who hasn’t played Titan Quest (or Grim Dawn on PC/Steam, which is TQ’s darker, faster, and more thematically modern offspring) you run around slaughtering hordes of enemies, level up, collect loot, and repeat for dozens of enjoyable, carnage-strewn hours. 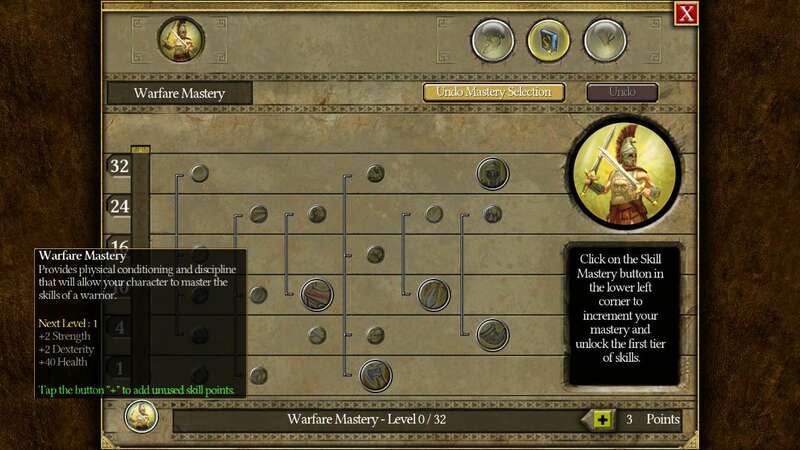 At level 2 you select your first mastery (one of eight different classes), each with its own set of skills that can be unlocked and assembled into your own unique skill/spell choice as you progress. At level 8 (it’s 10 in Grim Dawn but you get there a little quicker in that game) you have the option to choose a second mastery (class) from the remaining seven classes, but it is entirely up to you whether you do that or stick with your single original class. Most players will opt to fill out there skills with some different ones from a second class, but that’s the sheer beauty of this game – it is entirely up to you. 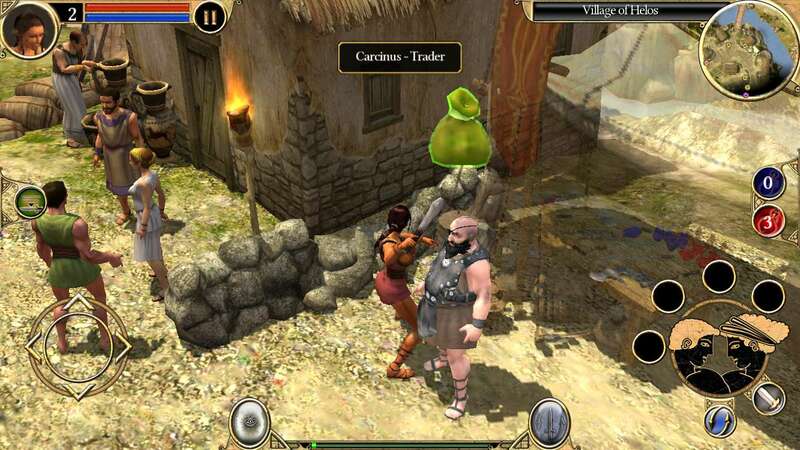 To summarise, Titan Quest is a classic PC action RPG that has been ported to iOS devices with an excellent touch-screen interface, with all the original game features and content included, and no in-app-purchases at all. 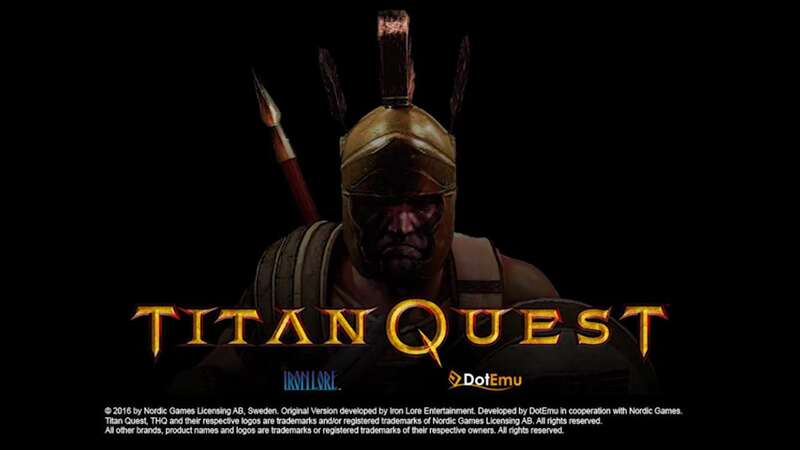 It’s slightly disappointing that the Immortal Throne expansion isn’t included because it addressed several gameplay issues with Titan Quest and enhanced the overall experience. Despite that minor gripe, this is still a great game and it is certainly a brilliant touch screen port. The shopkeeper wants you to buy this game. I think you should. This has just been added on YouTube. 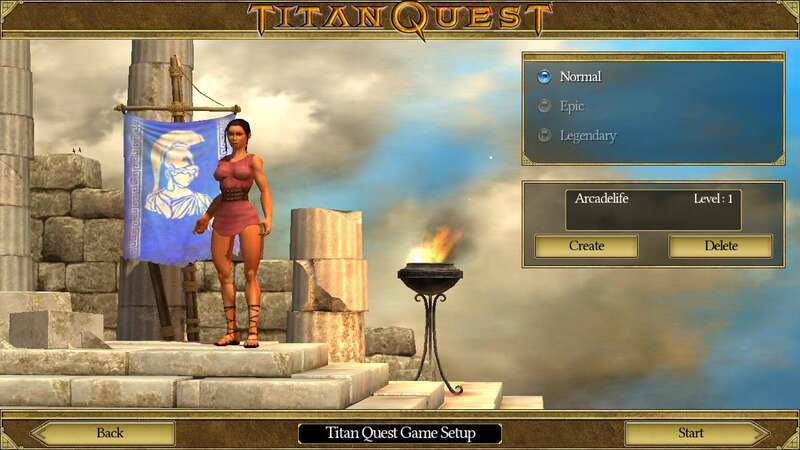 I played the hell out of Titan Quest on PC. The touch interface looks absolutely brilliant – great job, DotEmu. Now I just can’t wait to play this all over again on iPad, ten years after it was first released.